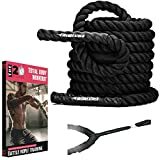 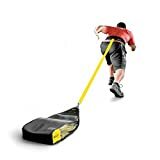 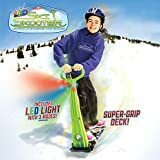 There are many ways to skillfully fall down a snowy mountain like snowboarding, skiing, saucer sledding, sliding down in a garbage bag (worked for me in a pinch once), etc, but now you can do it in a whole new way with these cool new Sled Legs. 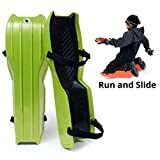 These wearable snow sleds strap to your legs and allow you to shred down a hill on your knees and then stand up, run back up the hill, and do it again without having to drag along a sled. 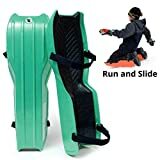 They feature comfortable impact absorbing foam on the interior to protect your knees and come in two sizes for kids and adults of all ages.